There is limited understanding about the effect of hypoxia and hypoxemia on the human body during travel to high altitude. Further information is needed for understanding problems like altitude sickness, acute mountain sickness, hypertension, and even cerebral edema resulting from travel to high elevations. Use of hypoxia chambers in cellular models and in vivo models are helpful to reproducibly mimic both acute exposures and also chronic exposures of reduced oxygen partial pressure at high altitude. Similar chambers are helpful for controlled programming of dynamic O2 levels to mimic the rate of both ascent and descent. Other research groups use O2 controlled chambers to evaluate therapeutic administration of oxygen for treating these problems. Many teams have found hypoxia chambers and oxygen chambers from BioSpherix Ltd helpful for reproducibly performing altitude research. 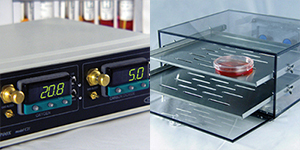 For cell-based research, the ProOx C21 & C-Chamber is an in vitro hypoxia chamber used for static control of O2 and CO2. Another configuration, the OxyCycler C42 & C-Chamber, is used for cell experiments requiring programmed, dynamic changes of O2 and CO2 during the experiment. For animal models, many groups have found the ProOx 360 & A-Chamber a useful option for static control of O2 during either acute or chronic exposures. The OxyCycler A84 & A-Chamber is an in vivo hypoxia chamber option with programmed control of dynamic O2 during the the experiment. Hypoxia chambers and oxygen chambers from BioSpherix Ltd set the conditions for reproducible altitude research. In cell-based research, the ProOx C21 & C-Chamber is an in vitro hypoxia chamber for static control of O2 and CO2. Another configuration, the OxyCycler C42 & C-Chamber, is used for cell experiments requiring programmed, dynamic changes of O2 and CO2. 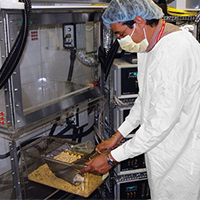 For animal models, the ProOx 360 & A-Chamber provides static control of O2 during either acute or chronic exposures. The OxyCycler A84XOV & A-Chamber is an in vivo hypoxia chamber option with programmed control of dynamic O2.